Hiring the services of an in home care provider can help ease the burden placed on family caretakers, allow family members to continue working and normal activities without worrying about their loved ones and insure proper care and attention are given to the person in need. In home care agencies can help families deal with challenging life changes, provide invaluable companionship and offer support, expertise and experience in dealing with medical care and daily tasks. If you are considering hiring an in home care Elk Grove organization for yourself or a loved one, it is important to make sure the company you hire and work with aligns with your needs, provides the services you need and has a track record of providing excellent care and service. While every situation requiring in home care is different and unique, there are some questions everyone should ask when considering hiring potential in home care providers, regardless of their unique circumstances. These questions are designed to help you fully understand what the in home care service provides, their philosophy of care and if they are the right fit for you and your family. Before you hire anyone and give them access to your home, be sure you vet them and do your homework on the company. Doing a bit of work on the front end can help save you unnecessary stress, avoid the hassle and headache of hiring the wrong person and having to start the search over again and insure you or your loved one are in the hands of a caring, experienced and knowledgable in home care giver. Entrusting someone with your care or the care of your loved one is not a decision to make lightly so before you agree to work with anyone, be sure you get the answers to these important questions. 1. What is the company’s background? Who owns the company, and will that ownership affect the quality of care provided? Does it have a good reputation and it is in good standing? While it is not necessary for a business to be long established to provide excellent care, it can be a good indicator of the quality and stability a service can provide. 3. What type of certifications, experience and qualifications are required of their employees? Make sure all employees are thoroughly screened, their credentials verified and they undergo professional testing before being hired by the company. 4. Are the in home care employees insured and bonded? For your protection and safety and to avoid liabilities, make sure employees are insured and bonded by the company. 5. 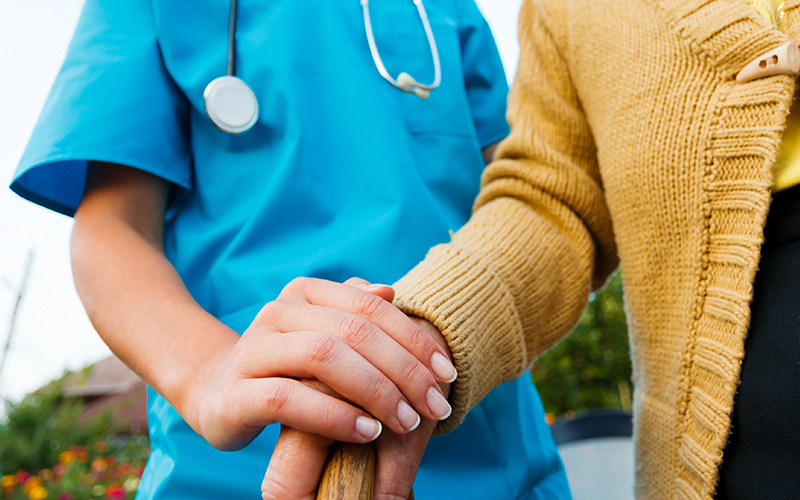 How are workers supervised to ensure proper care is provided? Make sure there is supervision of care providers such as quality assurance visits and calls from qualified company managers or representatives. 6. Will the company provide continuity of care? High quality care cannot be given if new care providers are constantly introduced to the patient and home. It is crucial continuity of service providers is consistent to receive the best level of customized care. 7. Are in home visits conducted before taking on the client? It is important that the home care provider understands your needs and can meet them inside your home. Having an in home visit can help you determine if the care provider is capable of provide the service you need. 8. Will you work with my doctor to develop an individualized plan of care? If care beyond that usually associated with everyday activities is needed, your physician should be involved and partnered with your care giver. Make sure the home care agencies that you speak with are willing to work with your doctor to plan and execute your care. 9. Do you have professional references available? References from individuals at hospitals, from doctors or from social workers can help verify the quality of service an agency provides. When you reach out to these references, be sure to ask them if they would hire the agency again, for themselves or for a loved one. 10. Is there any guarantee of satisfaction? It is important to know if you are going to be tied into a long term contract that is difficult or costly to break. The agency should offer a satisfaction guarantee and be willing to cancel charges for care deemed unsatisfactory. In home care can be a true blessing and benefit to families in need of these services, but only if it is the right fit for your unique circumstances and situation. Asking these questions can help you make an informed decision and get the level of care and service you need and deserve. Inviting someone into your home for something as intimate as care giving is a major decision that deserves careful and thoughtful consideration, so be sure you get the answers you seek when interviewing potential care givers. If a care giving agency refuses to answer your questions, gives you the run around or makes you feel demanding or out of line for asking, take that as a sign that they are not the right fit for you. In home care agencies should be open, transparent and forthright with their clients and it is important you get that impression when interviewing potential agencies. When you are ready to start the process of hiring in home care, call on Ally Independence and see how they can help answer your questions and make hiring your in home care service provider an easy and comforting decision. Call us at Ally Independence today and see how we can help make getting in home care easier than you ever dreamed possible.